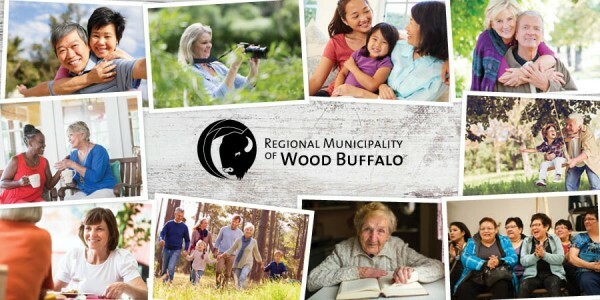 The Regional Municipality of Wood Buffalo (RMWB) is committed to being a healthy and active home for all its residents, and is working towards becoming an Age-Friendly Community. In 2014, the Municipality created the Advisory Committee on Aging (ACOA) with representatives from Council, seniors groups, social and health agencies, and senior citizens. The Committee has subsequently engaged the public and local agencies to bring strategic and meaningful recommendations to Council while working towards the vision of Aging with Dignity in Wood Buffalo. To date, the ACOA has completed an initial audit of the eight domains of the WHO age-friendly manual and hosted engagement sessions with partner agencies to gather public input. Results from a 2015 survey showed that improved housing, programming, accessibility and healthcare for seniors are desired by residents as local seniors wish to remain connected and integrated with their communities as they age. Going forward, the ACOA will continue to engage with seniors, businesses, agencies and organizations while using the WHO domains as a framework for an action plan. Making Wood Buffalo an age-friendly community will help seniors enjoy full, happy lives, and benefit people of all ages by improving accessibility to services, transit, facilities and businesses. From young mothers pushing strollers to seniors and everyone in between, the age-friendly framework will provide residents with access to essential social and physical infrastructure. The RMWB has made it a priority to develop an inclusive community that invites and accommodates visitors and residents of all ages and abilities.